Susan Greaney has been very busy for the past few years, as Senior Properties Historian for English Heritage, on the interpretation for the new visitor’s centre at Stonehenge, which was launched last year just in time for the important winter solstice. Here she tells us what awaits visiting schools to Britain’s most iconic prehistoric monument. You may have seen in the news that the Stonehenge visitor centre has now opened to the public. Housing a fantastic exhibition, an indoor café and a shop, this building has transformed the experience of all our visitors. For the first time there are also high-quality facilities for schools and education groups, making a visit to Stonehenge easy, informative and hopefully inspiring! A fully equipped education room is available both for free self-led visits as well as Discovery Visits, led by our experts. Opening for bookings from this week, the new space has its own toilets, bag storage and interactive whiteboard. Groups can find out more about Stonehenge in the extensive exhibition gallery, where for the first time archaeological objects from the World Heritage Site are on display. A variety of films, models and displays, as well as a changing temporary exhibition, help to tell the story of the unique monument and its surrounding prehistoric landscape. From Easter 2014 the reconstructed Neolithic houses in the outdoor gallery will also be built and available for education groups to use. Our new Discovery Visit ‘Neolithic Life’ will explore how people lived at the time of Stonehenge, with pupils able take part in a number of hands-on activities such as cookery, fence building and rope making. 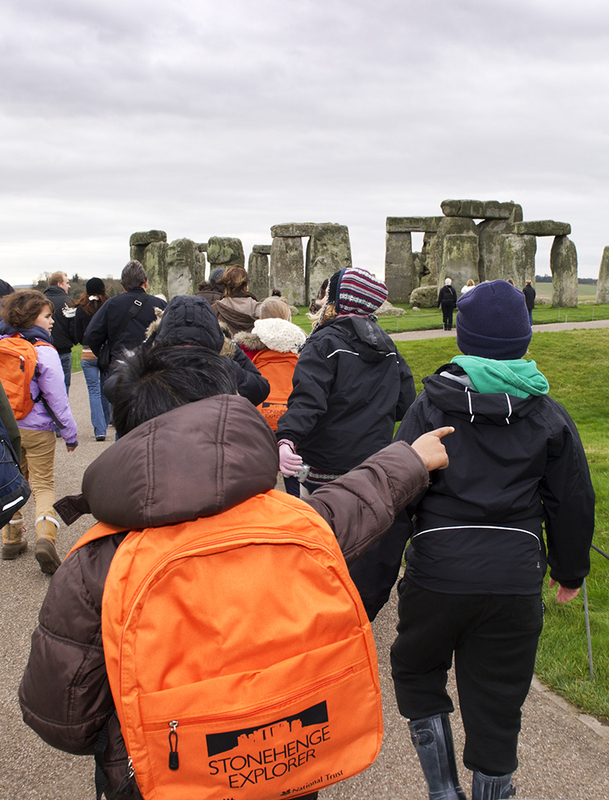 As well as exploring how, why and when Stonehenge was built, the visit encourages pupils to use enquiry skills to investigate why Stonehenge and the surrounding area was so important in prehistory. This session will be available from 6th May and you will be able to book from mid-March. With prehistory on the primary curriculum for the first time, now is the perfect time to bring your school to Stonehenge. More information about the facilities available, online resources and how to book can be found on the English Heritage website. This entry was posted in Guest post, News, Place to visit and tagged stonehenge by Kim Biddulph. Bookmark the permalink.